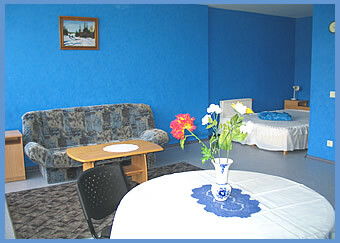 Hotel CONCORDIA offers 14 cosy and comfortable rooms. 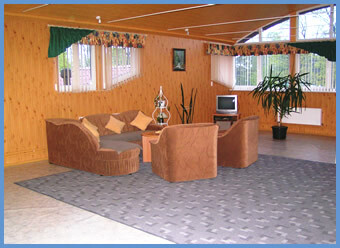 In the hotel our guests may get sauna, internet, parking, newspapers, set of barbecue, taxi. 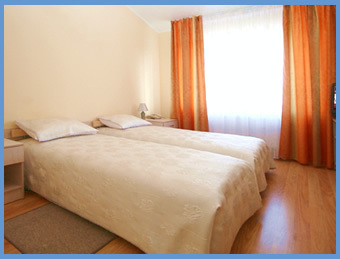 Small (18 sq.m) cosy double rooms give the atmosphere of comfort and grateful leisure to their guests. It may be with two single beds (Twin) or with king-size bed (Double). Due to low price these rooms are convenient for those who tries to spend free time outside of hotel, who wishes to spend money more on travel tours of Latvia, entertainments, spa-procedures, but not on accommodation. And it's also suitable for those who goes on affairs of business to Riga. These are the most popular rooms in the hotel, made by "Studio Apartments" type, and equipped by all necessary facilities for comfortable stay several persons for short and long periods of time. Light spacious (36 sq.m) rooms with big windows and balcony allow to completely relax and take joy of charming rest. The warm atmosphere of rooms will help to feel happy everybody - beloved couples, families with children, companies of friends, wishing to stay together in one room. The hotel offers four 2-room Suites of class Apartments. Each suite has large living room with built-in kitchen, cosy bedroom, bathroom, hall and balcony. All rooms in suite are separated. These rooms are ideally suitable for family leisure, convenient for stay and talks during the business trips, unique for big cheerful companies of friends, excelent to receive your guests. Unforgettable atmosphere of this spacious apartments with living area about 90 sq.m and open terrace-solarium (35 sq.m) as well as the beautiful interior with exclusive conveniences allow to call this room "The Pearl" of Hotel CONCORDIA. The individual entrance to Penthouse guarantees calmness and privacy for you. In penthouse you will find separated kitchen, coffee-machine, shower-room with separated WC, air-conditioner, DVD, videoplayer. All our hotel apartments are really spacious. Meanwhile if you are dreaming about vacations in summer house near Baltic Sea on your own separated territory we are glad to offer you our lovely COTTAGE. This charming place is ideally for 3-4 persons but comfortably may stay here up to 6 persons. The territory is fenced and gives all secured advantages of summer vacation - you may play with children on air, have barbecue parties among flowers, be sure in cars' safety on parking place. Our Cottage is located in the center of Jurmala in Majori, in 500 meters to the baltic beach, in 300m to the main Jurmala's street - Jomas iela, in 50m to food and household shops and not far from the Hotel Concordia. Minimal term of Cottage rent is 3 nights except extra cases. In case of short rental period we may ask extra ten lats for general cleaning, but for really long term rent we offer great discounts. 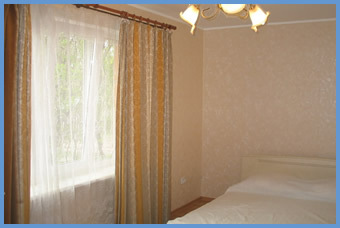 Hotel «CONCORDIA» due to its location, facilities in each room and the most acceptable rates is the best choise for long term living in Yurmala. 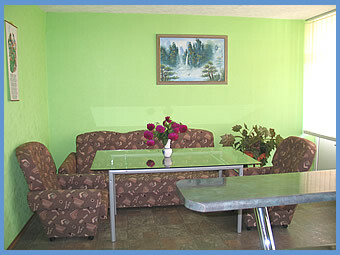 Persons are interested to live in Concordia for long period of time we recommend to reserve rooms in advance. Enjoy your stay in Jurmala with «CONCORDIA»!